Coming to a new church is scary. We know that. Evensong is a good way to check us out. 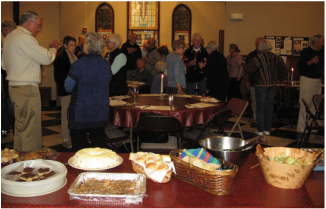 Choral Evensong at St. Matthias' is a simple, intimate gathering of St. Matthias' members and others from the community. Seats are placed informally around the piano. It is a relaxed, contemporary service that follows the historical tradition of sung canticles, psalms, prayers and readings. It's also a rich feast for the senses. We hear the beautiful music as we sing most of the service. We see and smell the incense curling up towards the ceiling. We see and feel the warmth of the sun as it pours through the stained glass windows and splashes color against the sanctuary wall. It really does feel like the saints and angels are there with us! As with all of our services, you can come in and sit where you like. You are perfectly welcome to sing along, or to just enjoy the experience. The service lasts about thirty minutes. Following Evensong, we have food in the Parish Hall. It's good. It's cooked by members of the parish. And it's free. And you're welcome. And bring a friend. 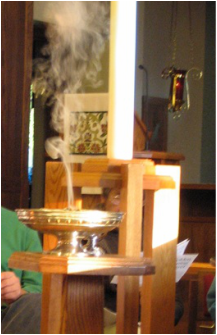 Choral Evensong is held at 6:00 p.m. the third Thursday of every month. 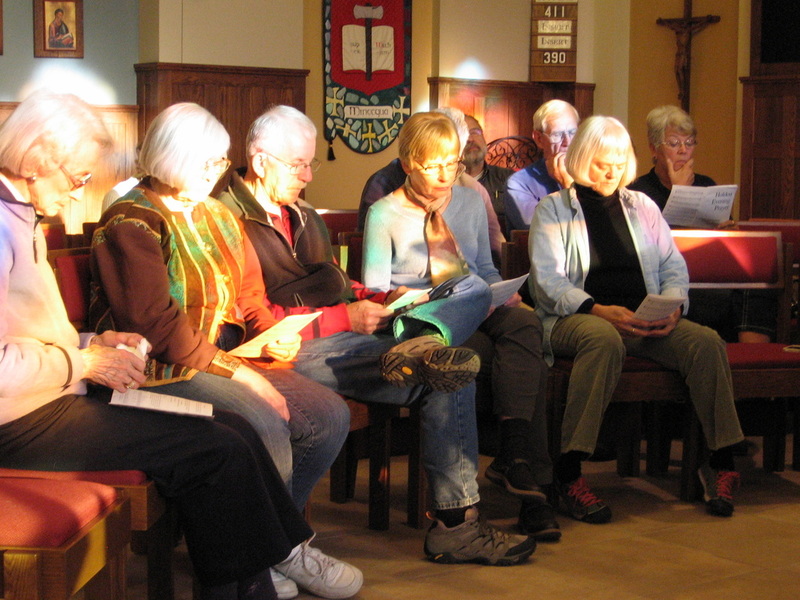 Most often it takes place at the church, although at times Evensong may be held in church member's homes. All are welcome, no matter where it's held. Check our calendar or contact the church office for location and directions, 715-356-6758.